Bhubaneswar: The State Government has asked all district Collectors to complete their assessment on damage due to hailstorm and whirlwind and send their assessment reports by May 10. Special Relief Commissioner (SRC) Bishnupada Sethi has asked the DMs that the damage reports need to be sent along with the proposals for sanctioning of funds towards assistance for houses damaged and input subsidy to farmers who have suffered crop loss. 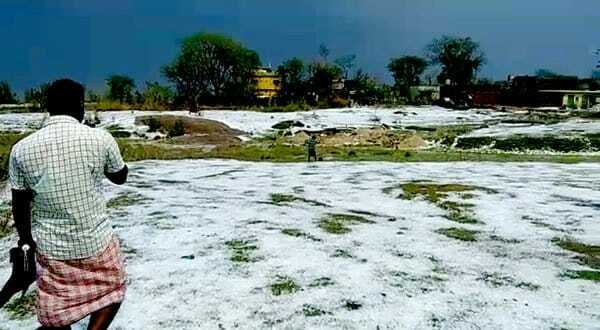 Thousands of farmers suffered crop loss and houses were damaged in atleast six districts due to hailstorm and whirlwind in April and May,officials said. The hailstorms and whirlwinds caused huge damage to crops and houses across seven districts of Bargarh, Jajpur, Subarnapur, Dhenkanal,Baleswar, Mayurbhanj and Malkangiri, Sethi said. Sethi, who is also the Managing Director of Odisha State Disaster Management Authority (OSDMA), said requisition for funds towards damage of houses in Bisoi and Thakurmunda blocks of Mayurbhanj district and Barapali block of Bargarh district has been received, and funds have already been allotted. 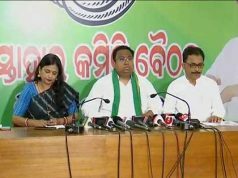 He said that preliminary reports on death of three people, one each in Baleswar, Bargarh and Mayurbhanj districts, and information on four people getting injured in Malkangiri due to hailstorm and whirlwind have also been received. “There is immediate need for payment of admissible assistance to the affected people after proper assessment of damages,” Sethi said. Besides, he said, steps would be taken for sanction and payment of ex-gratia to the next of kin of the deceased.